Figuring out the options for your child’s college education can be confusing, stressful, and time-consuming. How can you avoid making mistakes now that can cost you – and your child – time and money later on? But saving money on your child’s college education is even better! 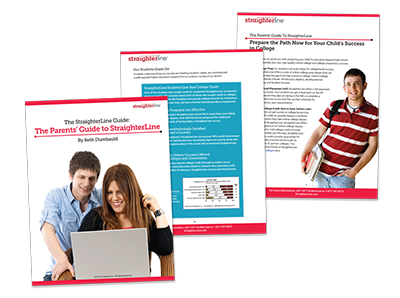 You can now download and enjoy The StraighterLine Guide: The Parents' Guide to StraighterLine.